Lion Anton Selvadurai and wife Leila saying hello to soccer ledgend Lou Marcari and ex Stoke City kitman Neil Baldwin after a fanatastic evening of soccer stories at the 13 Club in Alsager. 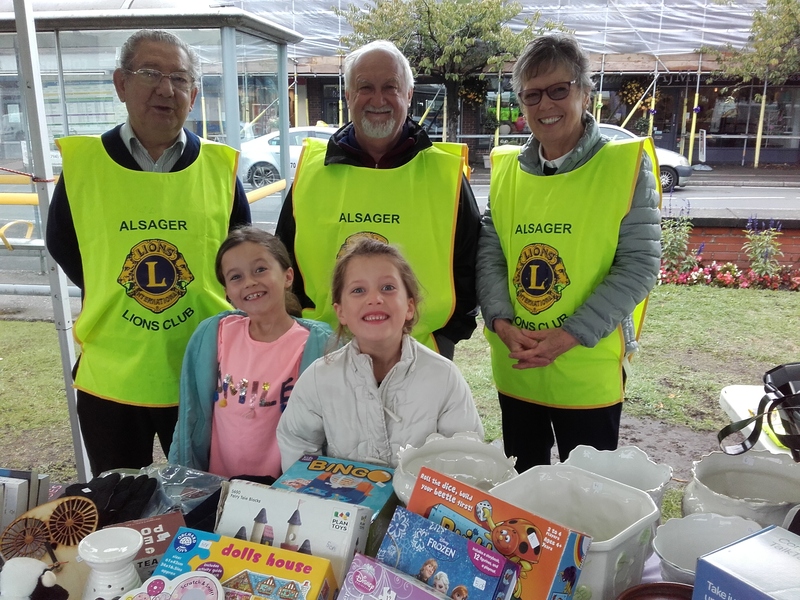 Mel North, Lion Secretary attending the opening of the refurbished guide hall, thanks to the generosity of a number of local benefactors, including Alsager Lions Club. Picture thanks to the Alsager Chronicle. Lion Kath Morris with some of her guest at her open house day. Lions Ron Lucas and Ken Livingston visited the HANFA (Helping Additional Needs Families) at their summer scheme at Wesley Centre, Sandbach. 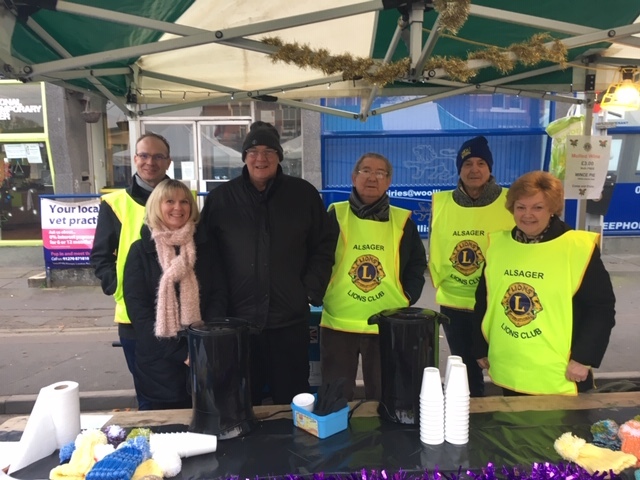 Alsager Lions at the start of their warm mulled wine stall at this years Christmas Light Switch on. Lion Ian, wife Heather, Treasurer Doug, President Geoff and Lions Dave and Pam. Alsager School GCSE Awards Ceremony. Winners of the school Resilient award and receivers of Lions vouchers Olivia Neagus, Will Jones Outright Winner of the Lesley Rimmer Trophy & Esmae Doig. Ben Adams absent. Many thanks to Mrs Andrea O'Neil for her help. Lion President Geoff Rimmer presenting a cheque to Kath Morris, project leader of the Dementia Friendly working group on behalf of the Alsager Partnership.